How do I tell if my EC2 Reserved Instances are being used? I've purchased some Amazon Elastic Compute Cloud (Amazon EC2) Reserved Instances for my account, and I'd like to be sure I'm getting the maximum benefit from them. What are some ways I can find out if my Reserved Instances are being fully utilized? The Bills pane of the Billing and Cost Management console shows the instance-hours that are covered by your Reserved Instance (RI). "On Demand" hours are hours that are not covered by a Reserved Instance. 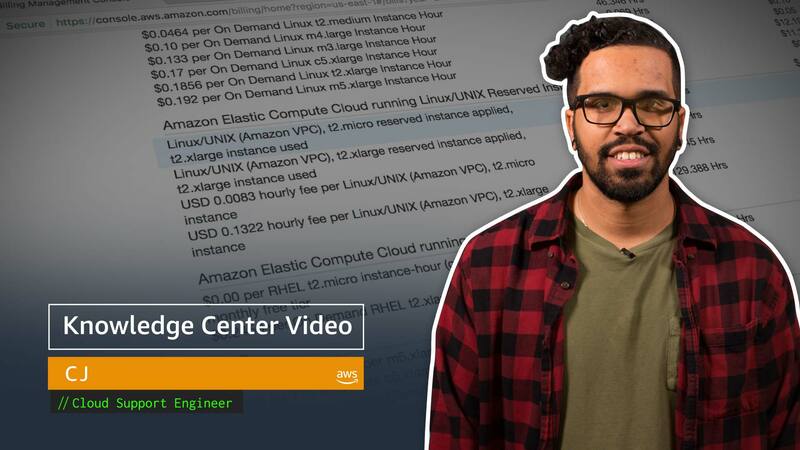 For an in-depth look at how your Reserved Instances are being utilized, use Cost Explorer or Reserved Instance Utilization Reports. Cost Explorer also offers another view that can help you identify if you have under-purchased RIs.